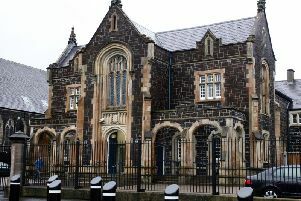 Police are appealing for information after a man was beaten in a paramilitary-style sledgehammer attack in Larne on Sunday night. The incident occurred in a house at Woodvale, in the Tullygarley area of the town, at approximately 11.25 pm. The victim, who is aged in his 20s, is being treated in hospital for life-changing injuries. Police have confirmed that the “brutal attack” is being treated as a “paramilitary style assault”. Detective Sergeant Pete Crothers said: “We received a report just before 11.25pm that a number of men with sledgehammers were seen running down an alleyway in the Woodvale area and that a man was heard screaming from a nearby property. “Police attended and located a man inside a property, where a number of windows were smashed. “The man, aged in his 20s, sustained injuries to his legs and arms and is being treated in hospital for what are described as life-changing injuries. A neighbour, who did not wish to be named, described the injured party as “very quiet”. She indicated that he had lived alone at the property for approximately 12 months and she had not witnessed any activity in the vicinity. The incident has been roundly condemned by elected representatives in East Antrim. Ulster Unionist MLA Roy Beggs described the attack as “barbaric”. Alliance MLA Stewart Dickson stated: “This is an absolutely horrific attack. Reports indicate that these are life-changing injuries. It is extremely concerning for someone so young to have injuries that are life-changing. “I would urge anyone with information to contact the PSNI or Crimestoppers. Detective Crothers continued: “Our enquiries are an early stage, and I would appeal to anyone who was in the Woodvale area between 11.05pm and 11.25pm and saw a number of men in the area acting suspiciously to get in touch. Information can also be provided to the independent charity Crimestoppers on 0800 555 111 which is 100 per cent anonymous and gives people the power to speak up and stop crime.